Winter weather is rough on cars and trucks. Freezing temperatures, snow, ice, and the assault of salt or ice melt are all damaging to vehicles. Fortunately, there are some simple things you can do to protect your car from winter damage and keep it looking like new. Tires are easy to forget when the weather is nice, but neglected tires can fail under the strain of winter weather. 303 Automotive Protectant and 303 Tire Balm will not only keep your tires looking like new, but it also helps to protect tires while preventing dangerous cracking. The lower body parts on your car are subject to damage from snow, ice, salt, and chemicals. This winter damage can quickly result in problems with the paint or rust on the runner boards. Cleaning and protecting runner boards is fast and easy with 303 Automotive Speed Detailer. Just spray it on and wipe to protect the paint. Anti-freeze type windshield washer fluids can help you avoid frozen fluid lines or windshield wipers, but these fluids do not clean well. Add a 303 Instant Windshield Washer Tablet to one gallon of anti-freeze washer fluid for additional cleaning power to help keep your windshield clear and clean for winter driving. Cleaning and protecting the bumpers on your car could not be easier. Simply mist the bumper with 303 Automotive Speed Detailer and then wipe. This not only quickly and easily cleans the paint but also protects it. Vinyl convertible tops are under stress from UV rays all summer and coated in snow and ice all winter. Protecting vinyl tops is essential in order to avoid expensive weather-related damage. Applying 303 Automotive Protectant to your vinyl top will help to keep it looking great while protecting it from the elements. Door seals that become brittle can crack and split. Damaged seals can result in a noisy and uncomfortable ride as cold air and moisture are able to leak into the car. 303® Rubber Seal Protectant is an effective way to clean salt and dirt from door and trunk seals while also providing vital protection. 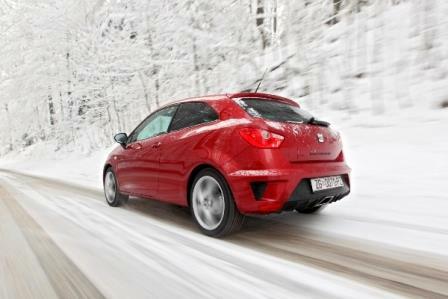 Plastic trim and parts are exposed to cold temperatures, moisture, and salt during winter driving. Cleaning and protecting plastic with 303 Automotive Protectant will help to keep your car looking great even through the winter months.